CYZ Collection CYZMen'sSleepShorts-BlackGreyMelange2PK-M | What Should I Say? 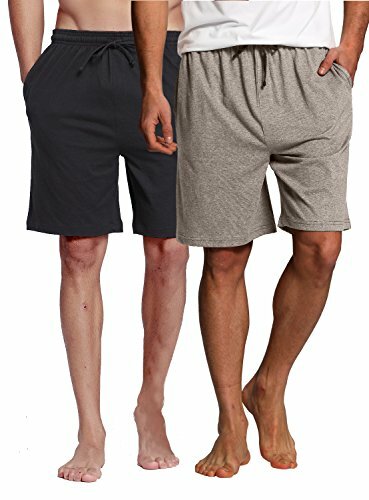 COMFORTABLE LOUNGE AND SLEEP SHORTS â€" CYZ Sleeping Shorts is a simple clothing item for men who love sleeping and lounging comfortably around the house. 100% pure cotton material (60% cotton 40% polyester in grey) is used to create these Octane Shorts, making it into an ultra-soft and comfy sleep/lounge wear for men. These is a simple clothing item for men that also has an easy to wear design that gives your body freedom of movement.